Don’t drink smoothies in the winter? You’re missing out. They may not be warm, but smoothies are packed so full of goodness that they deliver a nutritional punch. Take this banana, hemp and strawberry smoothie for example: strawberries are full of vitamin C, which is great in the winter; I’ve avoided using green vegetables in the recipe so it isn’t too cooling for the body; and I’ve added in lots of fat in the form of shredded coconut and hemp seeds to fuel you in the cooler months! 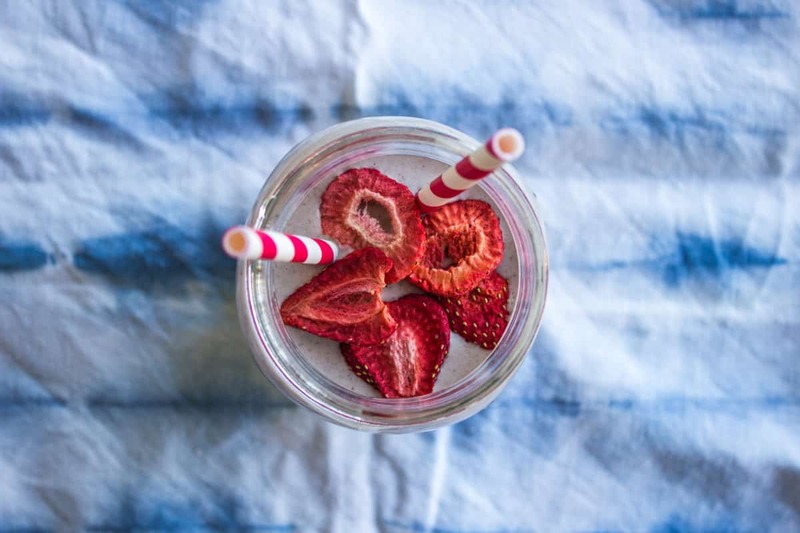 Finally, I’ve found adding a dash of cinnamon really helps the smoothie feel warming and energizing. And lets be honest, it makes it a little bit festive – who doesn’t love festive? 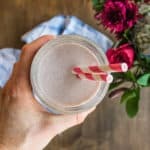 This banana, hemp and strawberry smoothie is great for breakfast or as a snack at any time of day. I also like adding a scoop of plant-based protein powder to give it an extra kick of energy. Other top recommendations for warming ingredients to include in this one are (all optional): maca, lucuma, cacao powder or nibs, ginger powder and vanilla powder or essence. That said, if you prefer a greener smoothie for breakfast or as a snack, I can totally understand! 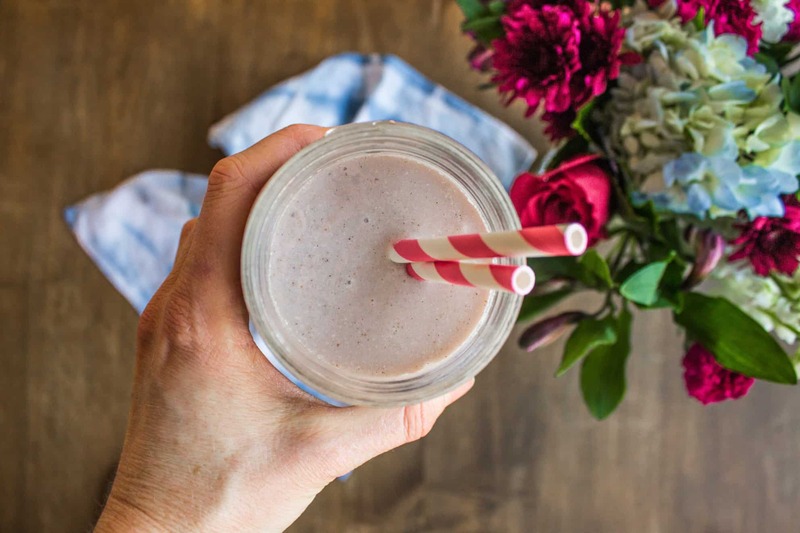 Try the recipe for this Everyday Breakfast Smoothie instead. It’s packed full of mango and spinach, and is a refreshing alternative to this Banana, Hemp and Strawberry Smoothie. Happy blending! 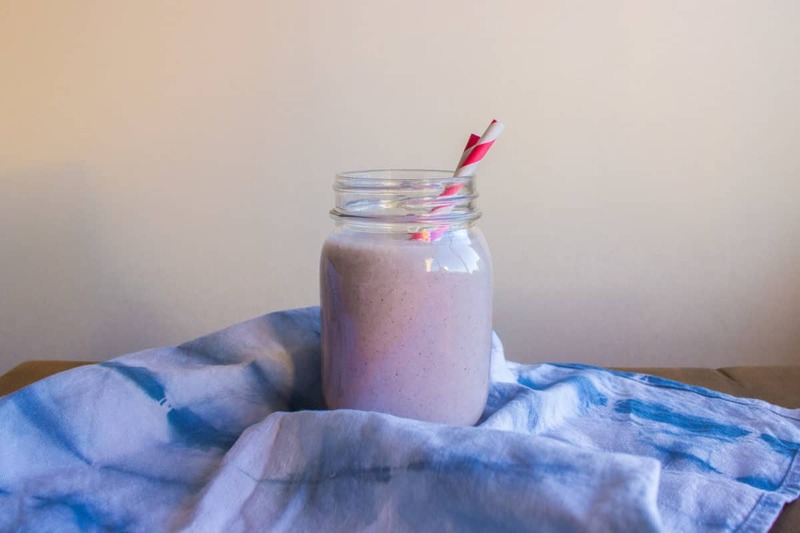 This banana, hemp and strawberry breakfast smoothie is the perfect combination of ingredients to warm you on a colder day. Add all ingredients to a high-speed blender with ⅔ cup water. Blend on high for about 30 seconds (until the mixture is totally smooth and lump-free).